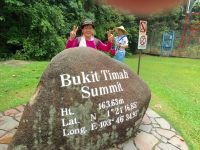 I am organizing a 1 day hiking trip in Malaysia. Please view the link below for more details. Room only for 5 people! This entry was posted in Activities outdoors by Sam GOH Chin Huat. Bookmark the permalink. hohohohoho hahahahha number one world joker ah jie you !!! it 654 meter …for a active lady like u no problem !! those who cant climb dun worry we will stop at d waterfall for detox ya !!! Just scaled BT hill two weeks ago…only 163m compared to yr mountain… Difficult!